Born in 1935 in Pieštany, a spa town in western Slovakia, Tomi Reichental’s life began without incident and he experienced quite a normal childhood. He grew up in a beautiful village called Merasice with his parents and brother Miki, four years his senior. Although it wasn’t until well into the Second World War that Tomi and his family would feel the repercussions, the Nuremberg Laws (passed the year of Tomi’s birth) changed everything for Jews living in Europe. Anti-Semitism was slow to begin with; household valuables had to be handed in, Jews were no longer needed in the army, and a 20% flat tax was due on all valuables owned. Gradually however the situation developed into something far more sinister, and Hitler’s systematic extermination of the Jews and other minority groups began in earnest during World War Two (1939-1945). For Tomi, perhaps the most disappointing aspect of the Jewish deportations from Slovakia was that his own country’s leaders encouraged it. Catholic priest Fr. Jozef Tiso was a leading politician in the Slovak People’s Party, and during the war he was the head of what was termed the First Slovak Republic, essentially a satellite state of Nazi Germany. According to Tomi, it was easy for Catholic priests to get messages of Anti-Semitism across to the general population. “Slovakia was a very Roman Catholic country. People went to Church and priests would spread propaganda at masses.” He notes that Jews were held accountable for almost everything. “If the harvest wasn’t going well they blamed the Jews. The entire Holocaust was based on lies. The Germans said their biggest enemies were the Jews. They said ‘The Jews are taking over the world and if we don’t destroy them, they’ll destroy us’”. The Slovak collaboration in sending almost 90,000 Jews (3% of the entire country’s population) to concentration camps is something that would be unthinkable today, and it is only in recent years that Slovakian people have learned the true history of what happened to its Jewish people during the war. Such was the level of jealousy and hatred that the country’s Fascist leaders paid the Nazis 500 marks for every Jew deported once the deportations began in 1942. Tomi’s family knew they had to escape from their home village where Hlinka guards were sure to inform the Gestapo of their Jewish identity. Tomi and Miki had the names changed on their identity papers from Reichental to Vida so as not to arouse suspicion of their Jewishness. “Once the country was occupied by Germany we knew that the collaboration between the Germans and Slovaks would become very efficient and that they would put spies in the villages and towns.” Tomi’s father stayed behind at the family farm in Merasice; he would ultimately be arrested himself and sent on a train to Auschwitz, but on the journey met a Hungarian safe-cracker who had escaped twice before. The jump from the train would prove to save his life. The commandant of the camp from December 1944 onwards was the man known as the ‘Beast of Belsen’, Josef Kramer. Tomi describes him as “a pathological killer” and tells of how Kramer would routinely stand on his balcony shooting random inmates as they went by looking for food. “He used to leave the corpses lying around deliberately as a warning that if you did something you weren’t supposed to do, the same would happen to you.” It is believed Kramer was one of those who poured the crystals into the gas chambers at Auschwitz before his arrival at Bergen-Belsen. Directly responsible for the deaths of thousands and notorious among his subordinates as a harsh taskmaster, Kramer met his inevitable end after the war when, on December 13th, 1945, he was hanged in Hamelin prison by noted British executioner Albert Pierrepoint. Rumours of cannibalism at the Bergen-Belsen camp have some firm evidence today, and that shows the inmates’ sheer desperation for food. It wasn’t just Jews that were being held in the camps; Jehovah’s Witnesses, homosexuals, gypsies and German political prisoners were among those held captive too. The camp was originally built for 25,000 inmates; however an influx of around 40,000 came from Auschwitz towards the close of 1944 and start of 1945. Huts that were built for 150-200 were now holding up to a thousand people. The spread of diseases like typhoid, diphtheria and tuberculosis became rampant. “Typhoid is a very contagious disease; you get diarrhoea, you become dehydrated, and you die.” The death toll at Bergen-Belsen rose dramatically, and by March 1945 some 500 inmates were dying per day at the camp. Even after liberation 13,000 more died at the camp, either because they were already beyond help, or because of the British giving them food they couldn’t digest. Although 35 members of Tomi’s family perished, his immediate family survived the horrors of the Holocaust intact, which Tomi says was nothing short of miraculous. “For my immediate family to be reunited was a miracle because 99% of families that were split like that were never reunited.” His family never spoke to each other about the horrors they experienced, and Tomi’s life after the war brought him some normality. He joined a Zionist group, emigrated to Israel as a teenager and then went to Germany to become an engineer. 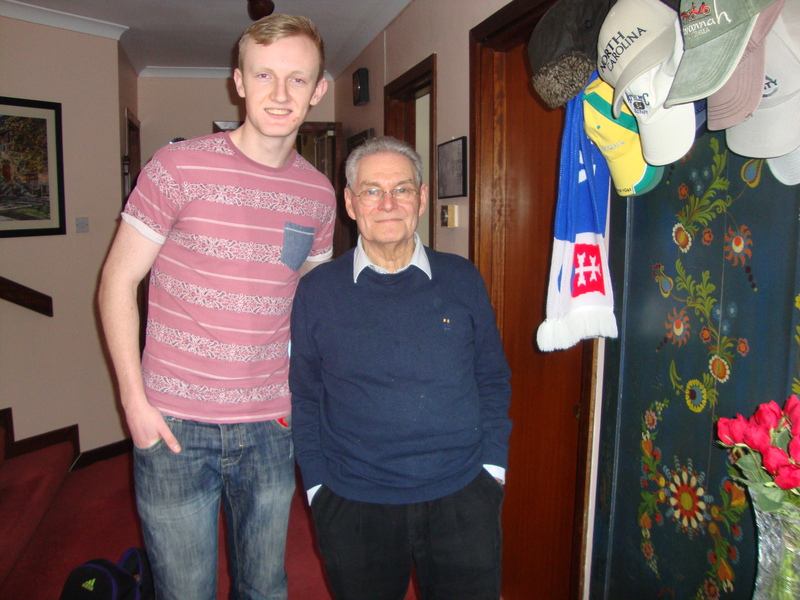 He eventually settled in Ireland in 1959 for work, marrying an Irish woman two years later. He became a full Irish citizen in 1977. 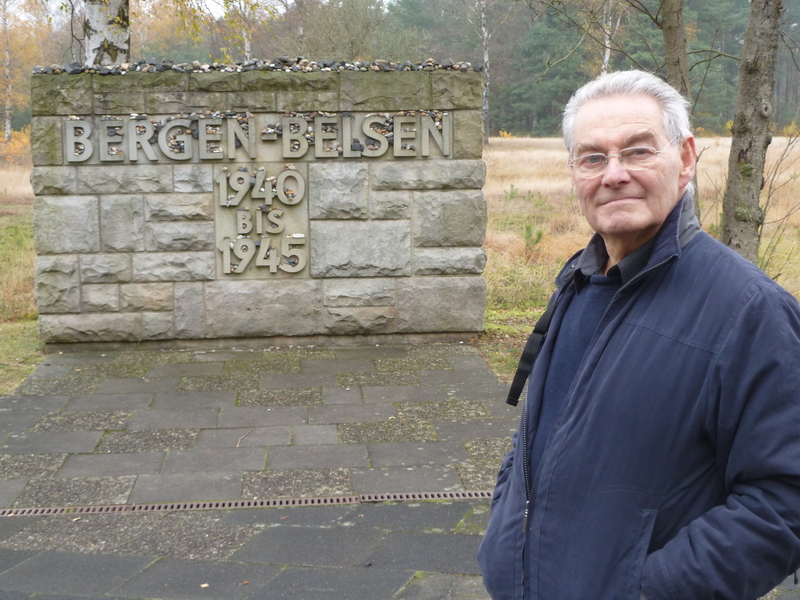 Tomi’s life was the focus of a Gerry Gregg-produced documentary which took him back to Belsen for the first time, ‘Till the Tenth Generation’, and his memoirs, entitled I Was a Boy in Belsen, were published in 2012. He received the Order of Merit of the Federal Republic of Germany last year and speaks regularly at schools and institutions both in Ireland and abroad. Tomi couldn’t speak of his experiences for 55 years, but as one of the last remaining Holocaust survivors in Ireland, he realised he must. Tomi Reichental’s story highlights the horrors of the Holocaust, and one can only hope that acts of such animosity will never be repeated.